I'm sorry to hear this. I would get a reading to determine if someone has indeed put something on you, and your reader can advise on the best course of action to take based on what they see in your reading. 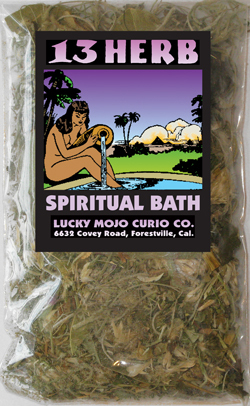 As a general principle, if you feel you have been crossed up, it is advisable to take a 13-herb bath to remove any spiritual gunk that is sticking to you. A run of 13 baths is helpful for seriously crossed conditions. You will also want to spiritually cleanse your home and put up protection, but I would get the advice of your reader/rootworker as they will have a clearer picture of what is happening in your case. Outside of a noticing a pattern of extreme repeated and unfortunate events or bad luck, divination is going to be the best route to find out if you have been crossed and by whom. Personal links to a target are, indeed, the best way to perform such a spell however they are not necessary. In hoodoo, there is what we call distance work. A doll made in your likeness, baptized and named for you or even the burning of a black candle with your name inscribed into it or on a name paper or petition placed underneath the candle will get the job done. I would recommend having a reading done on this situation by one of the professional root workers at AIRR. They can successfully diagnose your problem whether you have been crossed or not and prescribe your next steps to take. You can find them at http://www.readersandrootworkers.org. This could very well be the case. See the information in the post just above this one (mine) for the information I have given to CiCi and if you look at just above your message here you will see some great advice Miss Athena has offered as well. Dr Darensbourg when I go to the link which subject do I choose from and do you have any recommendations on which root worker is best from your opinion? Recommendations for which worker to see are not made on the forum. Many forum moderators, members are AIRR workers and authors and contribute. Its best to read through their profile, and determine who you are drawn too. Pray over it and ask for a sign to reveal to you who to work with. I am very new at this. I feel like me and my family have a curse on us. all started around 12 years ago (pretty long time..) after my mother passed away from a disease. since then, everything started declining. i started having health issues which are getting worse with the years, I opened up a company with a partner, invested a few good 10 thousands of dollars and eventually found myself kicked out from the company (very long story) and without getting my money back. decided to learn real estate, but I can't get any clients. when I do get clients, they want to break the agreement in the middle. my husband and I decided to start flipping properties. we learned how to do this. (cost us A LOT) we did our first flip. it came out very beautiful, but I couldn't sell it. all the properties in the area (a very good neighborhood) were sold like candies. i sold mine only after a year. financially, we are in a very bad situation. i barely work. my husband has his own company, also struggling. works so much and barely see the money. we have tones of loans and a lot of debt. when we have a little money on hand, it disappears the next day. my older daughter has health issues since 2012. she started having digestive system problems. up till today she can't eat any dairy or gluten. a few months ago she had a very high fever. she passed out because of that and hurt her head. got a concussion. a few weeks after she was admitted to a hospital due to an autoimmune problem that came from nowhere. a few days ago she went out with the dog. it was very icy and she slipped and hurt her ribs. it is hard for her to sit for a long time. all of this is not normal. everytime she has something related to her health. also, last year she had a new boyfriend. after 2 months he decided to break up with her. gave no reason. my other daughter has problems at school. she used to be a good student, but lately, no matter how much she will try, her grades are low. hard for her to find friends, no one wants to work with her (in couple or group). lately, also getting sick a lot. now, is it just bad luck or is it really a curse? I am so frustrated. don't know what to do. I really hope you can help me. I'm so sorry to hear how difficult life has been for you and your family. It's impossible for us to tell whether you are cursed or just having a run of very bad luck. The best way to get to the bottom of this is for you to get a reading on it by a qualified reader, who can then prescribe the best course of action based on what their divination tells them. Thank you for your reply. I went to a couple of readers, can't say if they are qualified or not, but they did not clarify if it is bad luck or a curse and for further investigation, they asked for thousands of dollars (yes, you read it right, thousands). of course, i don't have this amount of money to pay for it, and I think it is even ridiculous to ask for so much money. I will take a look at the link you sent me and I will definitely look for a qualified reader that will help me and my family. I am so sorry to hear that you have encountered scam artists, who are sadly quite common in the spiritual community. Please note that no ethical reader or rootworker would ever propose such a ridiculous price, so I would say they are most definitely not "qualified". The link I gave you in my previous post is to the Association of Independent Readers and Rootworkers, and they are the most qualified practitioners you will find anywhere. As a minimum requirement, they are all graduates in good standing from Miss cat's course, and they also have excellent reputations in the conjure community. I hope you can find someone there who will read for you and prescribe a remedy to your situation. thank you very much, Miss Athena. I already got the chance to take a look at the link you gave me and I found a few readers and I will definitely contact one of them very soon. thank you for the other link. I will read it and know for next time how to avoid scam artists. While you get your reading put together, you should also consider start taking baths and cleansing. Even if you are not specifically cursed it is still great practice to cleanse to keep things off of us, if you are cursed it will start helping as you figure out what to do based on the reading. 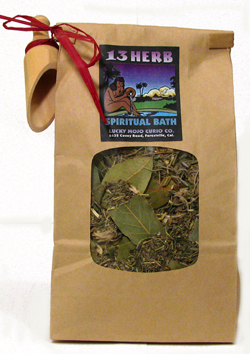 Cleanse yourself with a spiritual bath, I would use uncrossing or 13 herb bath. Dress your body with fiery wall oil after the bath. Thank you very much, JayDee, for your recommendations. I will do all of that. His 1st initial/my first two initals"
mailed to our regular address. The envelope contains 2 half dollar size plastic coins with dollar signs on both sides (like from the dollar tree). one painted gold, the other silver. the coins are broken randomly (could have been broken in transit). I can't get my mind off of this. I don't think I'm disturbed by it. Just curious as to the intention especially since receiving this on the equinox full moon. I set the envelop on my alter in a bed of cleansing herbs inside and outside the envelop. Burning a white candle. I have moved.your post to its correct thread. We ask kindly that you do not create new topics. Rather please search the various topics in its appropriate forum for the closest thing that relates to your inquiry. I have not encountered this before but I doubt very seriously that the coins are cracked by chance. I would solicit a reading to find out more information. If it is determined to have been a curse or you don't even care, I would take it to the nearest crossroads immediately and cleanse myself and husband praying God undo whatever may have been done. A great Psalm to use in this work as well is Psalms 91 for protection. Wasn't 100% sure if I should post this here or one of the protection threads. Are chains ever used in any sort of protection spells? I've just gone to bury the remains of a protection spell I did next to my front steps and dug up a length of chain buried in that exact spot. Under the steps is concrete so next to is the next best thing. This isn't the first thing I have dug up in my yard and the others were definitely not nice spells. Just curious as to whether this might be a previous tenants protection spell or if it's yet another attempt to cross me (or even someone else) up. My partner got a gift from a 'friend'. I feel they have had a past before and he doesn't want to admit to it. Anyway, I want to get rid of it but I cannot. If the item is cursed, what can I do to it? I do not have any lucky mojo products with me but I just want to rid these things or the negative energy it has. Please help! I think that getting rid of it is your best bet. You could do home cleanings and spiritual baths but if the source of the negative energy is within your dwelling you are going to always have the issue right there in your home. If you've a dog turd lying in the middle of your living room floor you can clean around it and everything in the room all you'd like but eventually the smell will not only fill the room but saturate the furniture. If you can't get it out the house, be prepared to deal with the stench. He won’t budge on getting rid of it. Can I put it in the wash or put red pepper flakes on it? Mmn, it doesn't exactly work like that. Wouldn't be that easy. If that the route you want to go then I would cleanse it every day but not just with red pepper. You never mentioned what the item was for anyone to truly determine other things you can do with it. You mentioned washing it so I assume it could be a piece of clothing? If so then you could put in the wash with Uncrossing or jinx killing bath crystals but you also say that you have no Lucky Mojo products at this time. I best thing to do at this point is to get a reading done to determine what to do. If it is not a piece of clothing that you could wash as Dr Darensbourg suggested, you can either smoke it in Jinx Killer incense, wipe it down with diluted Chinese Wash or spray it with Florida Water. It all depends on what the item is and what it is constructed of, to avoid damaging it and having your work detected by him. hearing voices, is this sorcery? I have been hearing unwanted voices day and night. I have been on medication and none of it helps. i know this is a form of black magic. I have already tried uncrossing baths/ rituals; unhexing rituals, jinx breaking, and curse removals, but none have helped. I have tried the fiery wall of protection and other items from luckymojo, none have helped. can someone tell me what is going on? is this sorcery? Welcome to the Lucky Mojo forum! We are glad you found your way to us. I have moved your post to the appropriate thread, as we don't want people starting new topics like this. We have nearly every subject already covered. I am sorry to hear what you are going through. We cannot possibly say what is behind the experiences you are having. You said you are on medication - are you under the care of a physician or mental health professional? That would be your first order of business, as the symptoms you describe are quite serious. We are not medical professionals here, so it is best that you defer to their expertise in diagnosing your symptoms. Meanwhile, please read through the posts in this thread. You said you have already tried many things, but there may be advice here that you hadn't considered before and that may be useful to you. But I would definitely get a reading and help from someone at AIRR. I truly hope this helps and I wish you the very best of luck!